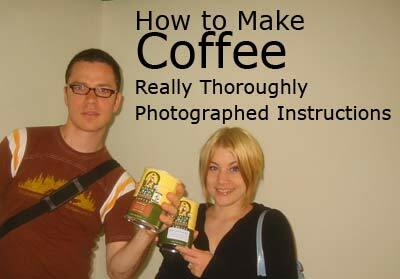 How to make coffee, with photos. 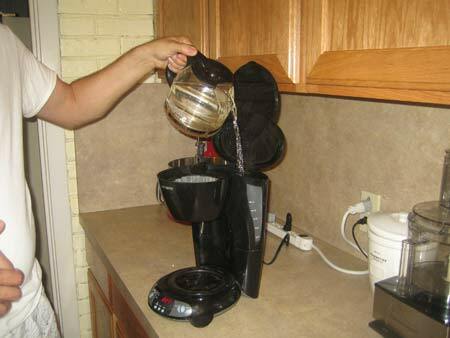 You will need a coffee maker, water, a coffee filter and ground up coffee beans. Whole beans will not work. They have to be crushed up. Don't use "instant" coffee for this process. 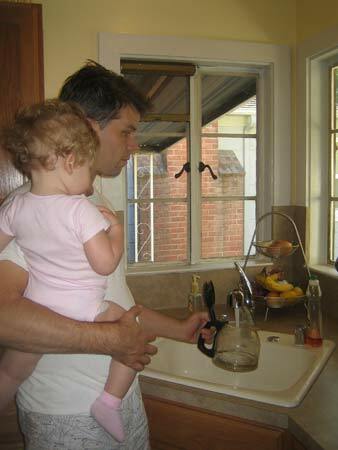 pull and rinse out the glass coffee pitcher. This is often called a carafe. This photo illustrates "rinsing out". 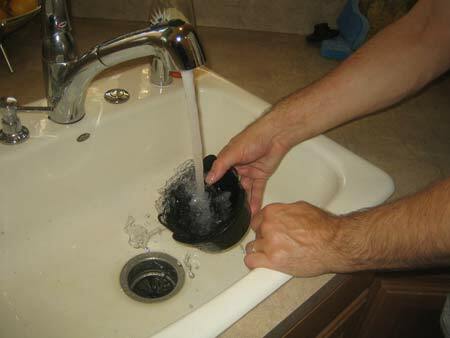 Hardly anyone I know washes their coffee pot with soap between uses. Most people just rinse it out. Fill it up with tap water. 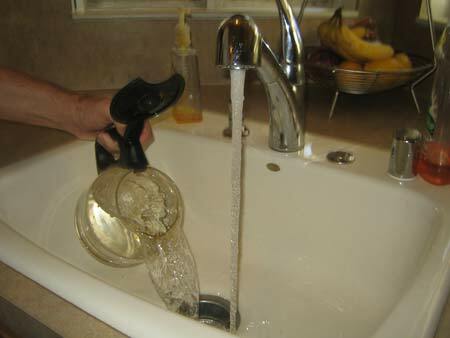 Some people use bottled or filtered water for this, but most people just use tap water. 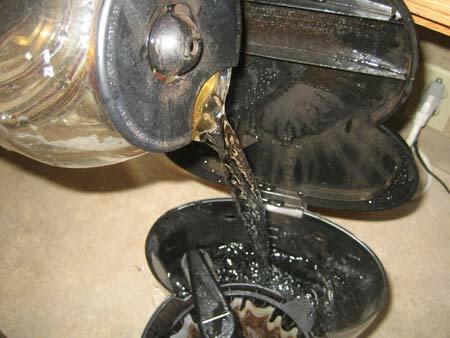 Pour the whole pot of water into the reservoir area in the back of the coffee maker. Sometimes there is a little door covering the water reservoir. 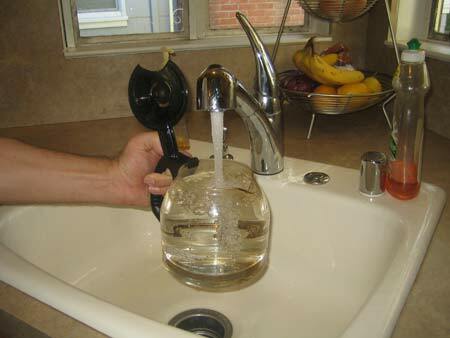 It is not necessary to add more than one carafe-full of water to the reservoir. You don't want to make more coffee than the carafe can hold. Next, remove the plastic cup above the glass pot. 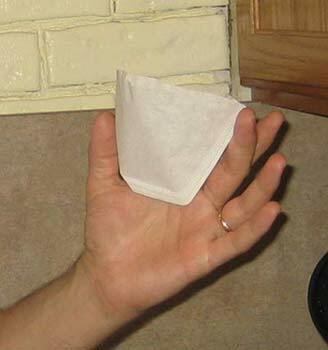 This holds the coffee filter. 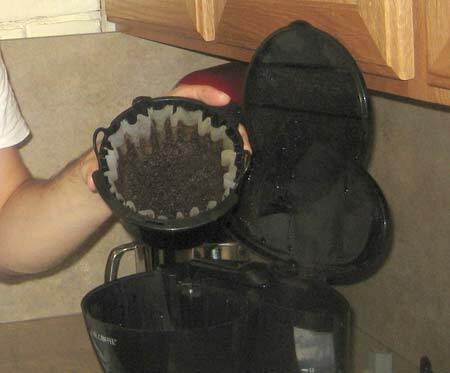 If the cup is already full of wet coffee grounds, dump them in the trash, along with the old filter. Separate a new filter from the stack of filters. They have a tendency to stick together. 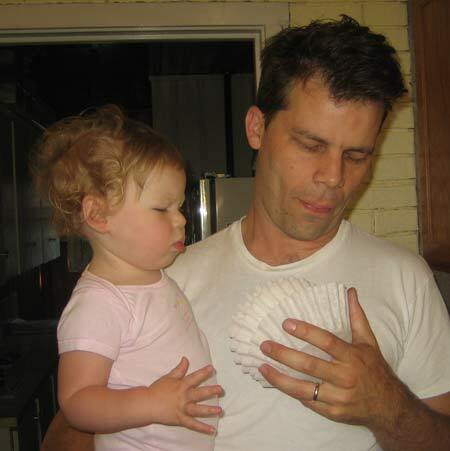 The filters in this photo are for "basket" style coffee makers. This is a "cone" filter. 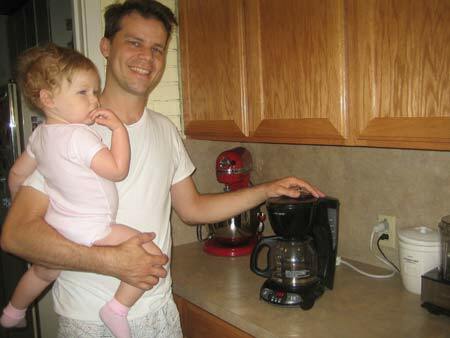 Please continue reading page 2 of Easy, Illustrated Instructions on How to Make Coffee.